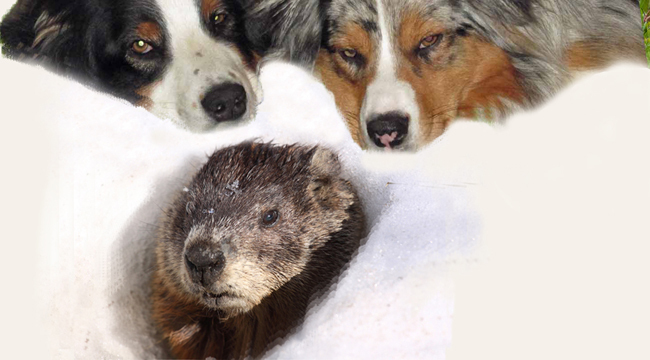 Groundhog Day on Crosscurrents, 2/2 – Doggedly Yours… Howling, Humor, and History. Originally a Celtic seasonal festival associated with weather prediction ritual adopted by North American immigrants – Groundhog Day celebrated on this day foretells the end of winter. Gavin and Wyatt find the groundhog who is emerging from underground as John gets down with the music for the show. You are invited to join the groundhog, and marmots of all sorts, as we engage in our own form of down home merriment, on Crosscurrents, 2/2 at 8 a.m.